The UFC is set to make their return to Argentina as the year winds down and fights will be needed. Today we have gotten the first of many. Expected to have the country’s biggest name on the card in Santiago Ponzinibbio, nothing has come together yet for the top welterweight contender. 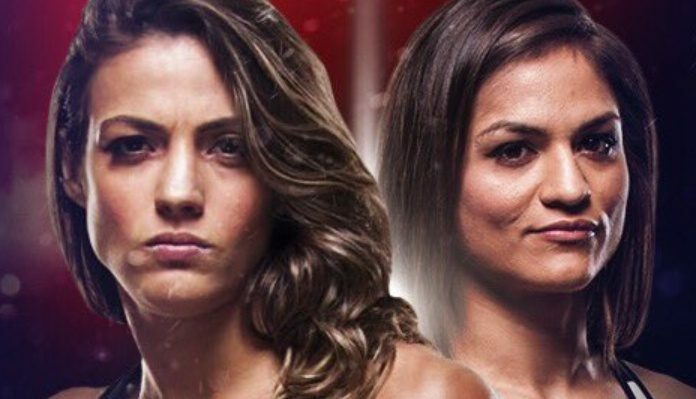 However, we do now have a fun strawweight scrap between the returning Cynthia Calvillo and top Brazilian prospect Poliana Botelho set for the November 17th date. 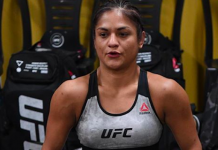 Calvillo arrived in the UFC last year to receive an immediate push from the promotion with two back to back pay-per-view main card spots (literally, as they were UFC 209 and UFC 210) that resulted in her coming out victorious. 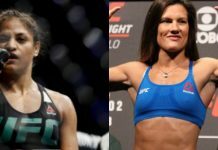 In what would be her third UFC fight of the year already and fourth overall, Calvillo would take on Joanne Calderwood in her home country of Scotland. As the co-main event, she again would come out on top against her biggest name opponent yet. This led Calvillo to a fifth and final fight of 2017 overall against the former UFC champion Carla Esparza at UFC 219. It was a hard fought battle that the former champion would get her hand raised in. Afterward, Calvillo would test positive for marijuana resulting in a suspension. But now she’s back and ready to take on a very hungry rising talent in Botelho. 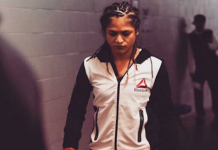 A flyweight before entering the UFC, the 29-year old 7-1 Botelho has won her last five with those wins coming over some very solid names in Silvana Juarez Gomes, Pearl Gonzalez, Karina Rodriguez and Syuri Kondo. Now 2-0 in the UFC, Botelho looks to be poised for big things especially after her ultra-impressive 33-second starching of Kondo in May at UFC Chile. That win was Botelho’s sixth by way of KO/TKO.